I’ve been lending my voice to things for almost 20 years, having started when I was a presenter on Ayrshire’s West FM. I soon moved in to the station’s commercial production department, where I not only made the ads, but voiced quite a few of them too. I’m a native of Lanarkshire, in West Central Scotland, with a fairly neutral Scottish accent. I’m also happy to provide an English accent. Age range 30s/40s. 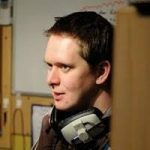 My voice has appeared on many commercials on Scottish radio and television. You might also have heard me on corporate videos, in store audio, or online. Have a listen to the examples below for a taster. I’m available on ISDN and can record WAV/MP3 files from my own studio. If you think I’m the voice for your project, please don’t hesitate to get in touch.